...is made from light to dark gray Maca roots processed into a powder after being dried in the high mountain sun. 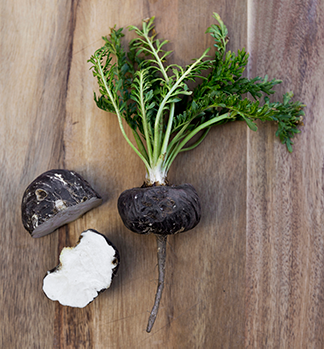 These roots are the rarest of all Maca colors, accounting for less than 20% of the annual harvest. Traditionally, Black Maca was mixed with yellow and red colored Maca roots in the processing of Maca powder. 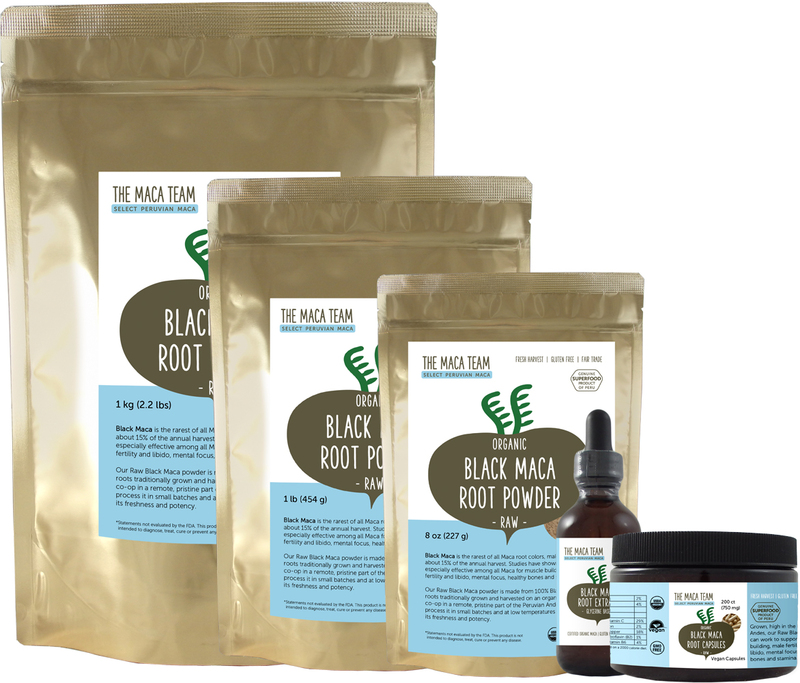 But once it was shown to have unique properties in the early 2000s, Black Maca began to be produced independently. It is now our second most popular Maca (after Red).